Personalized Nutrition Advice from experts. 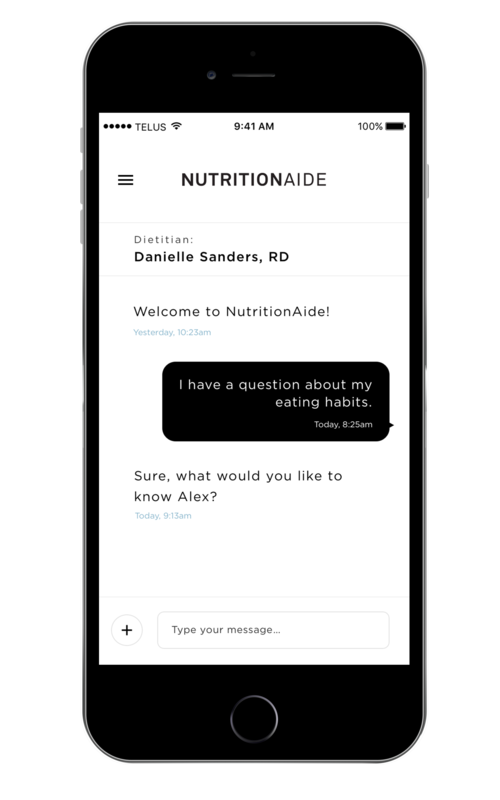 Try NutritionAide now for free! Immediately connect with a Registered Dietitian to receive expert advice. Learn how to shop better at the grocery store, debunk fad diets, and get daily coaching on your eating habits. Don’t rely on a search engine — get reliable nutrition answers today, tomorrow, and every day after that. 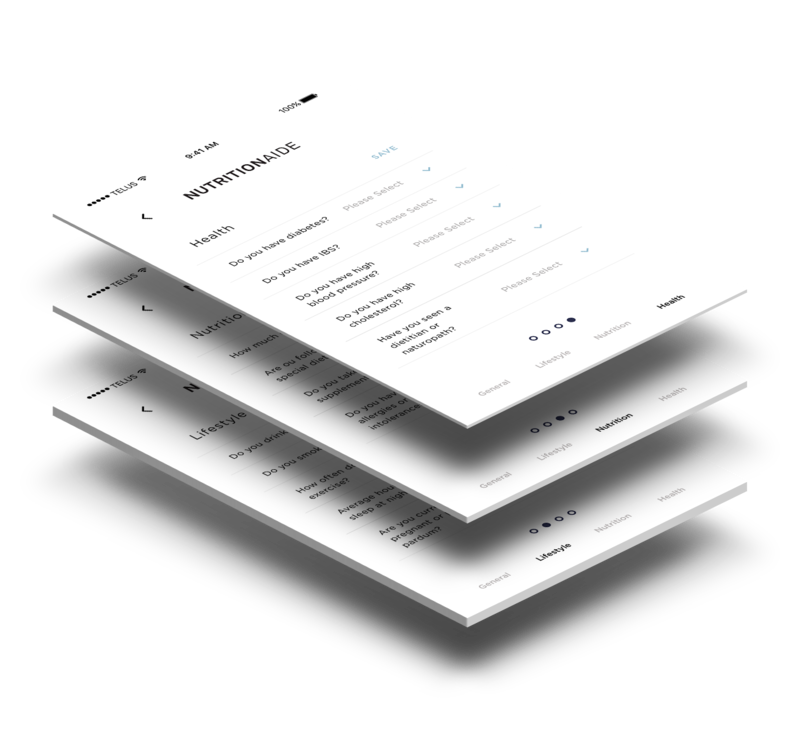 During our Beta phase a Dietitian will be automatically assigned. Ask a question about nutrition needs, confusing nutrition labels and more. Your Snapshot provides our Registered Dietitian's with insights into your health and nutrition status. The more information you provide in your Snapshot the more personalized your answers will be. Update your Snapshot at anytime to reflect your current nutrition status. Self-report biometric and lifestyle data directly into your Snapshot to ensure the responses you get are always relevant to you and your needs. Tailor your Snapshot and your advice - to your unique biology. We have partnerships with North America’s most cutting edge labs to improve your Snapshot and further optimize your advice. Connect with one of our scientific partners to receive DNA, microbiome & blood testing.